Citiside Construction is a locally owned and operated construction company that specializes in two story additions, large renovations and new construction. Citiside mainly operates in the intown Atlanta market, Sandy Springs and Roswell. We serve both residential and light commercial markets with over 15 years of industry experience and offer a wide array of home and building services. Our attention to detail can be seen through our past projects found on our Portfolio Page. We look forward to transforming your property into a more aesthetically pleasing and functional space. Gabe Pierce, owner of Citiside Construction found his passion for building homes while helping his parents renovate properties at an early age in Griffin, GA. While in college at Valdosta State University he worked with local construction company that specialized in large renovations and new construction development. After completion of his business degree in 2004 he went on to work with a premier semi-custom home builder in the southeast, John Weiland Homes and neighborhoods. He worked for John Weiland in both Atlanta and Charleston for over 3 years. It was during these years that he acquired the knowledge and skills of how to manage a large construction business. Not only did he learn the construction process but more importantly how to effectively work with home owners, building trades and the value of customer service. Citiside Construction was founded in Atlanta in 2008 and has renovated over 50 homes in the Atlanta area since then. Gabe believes the main key to success in the building business is not only the quality of work but communication. Citiside Construction welcomes both new and existing clients who are in need of residential or light commercial services. 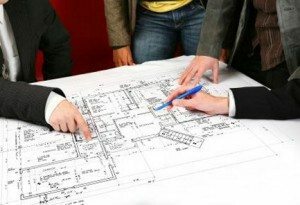 Our team is knowledgeable, experienced and ready to begin your next project. Please contact us directly with any questions you may have.